Kucho Nimki is one of those old fashioned Indian style flour cookies which have made its journey from generation to generation in our Indian kitchen very successfully. Kucho Nimki is also known as Namak Para or Namakpare in Maharashtra and Diamond Cuts cookies in Kerala. 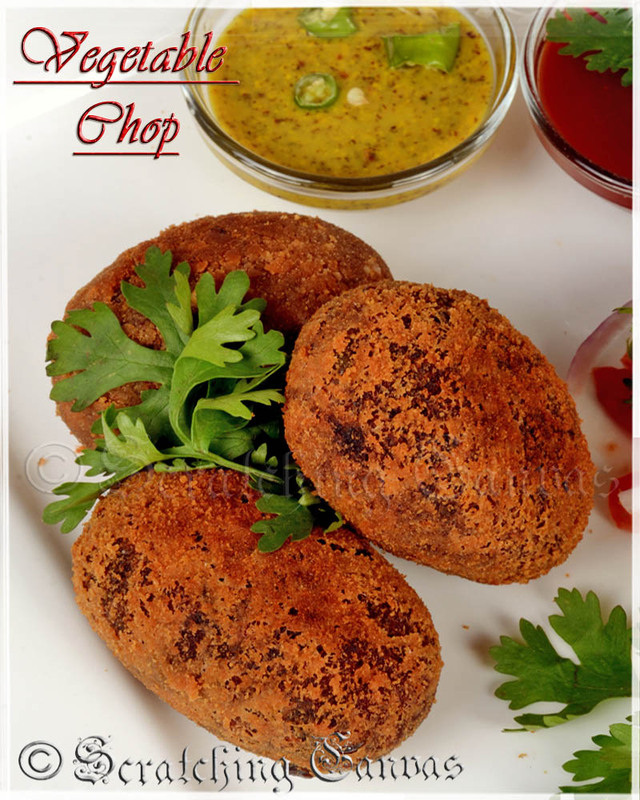 These deep fried savory crisps are cooked in traditional Indian way instead of baking and enjoyed mostly with evening tea or coffee. My connection relationship with Kucho Nimki is till the root; I’ve grown up eating these tiny munchies. But that doesn’t mean I dint experience anything apart from the taste; when I mentioned before about the root it certainly had some deep meaning. Since my childhood Nimki has been a part of our Bengali life, not just a festival special snack. I’ve seen my granny and aunties to cook Kucho Nimki throughout the year and then store them for a long time. Honestly it wasn’t any easy job while few monkeys like me used to wander around. And they had to find new places or tricks to keep those nimkis alive for longer time so that others can also enjoy them. Though we used to enjoy nimkis all the time, festival special nimkis were always like hot cake. Our fun used to get double when festivals were around as those nimkis had some special flavours. We were always told that it’s the feel of the puja/holidays, and not the taste of nimki, which makes them special (and trust me I was always highly suspicious about it). Anyways now I know I wasn’t fooling around; there were something secret to make the differences. Some spices; yes my granny used to sprinkle some hing (asafoetida), red chili powder or some ground fenugreek or sometimes just little bit chat masala to enhance the flavour of nimki. I had already shared a recipe of Spicy Masala Nimki long back (may be 2-3 years ago) and now after so many years I’m sharing the simple recipe of Kucho Nimki with Nigella seeds. 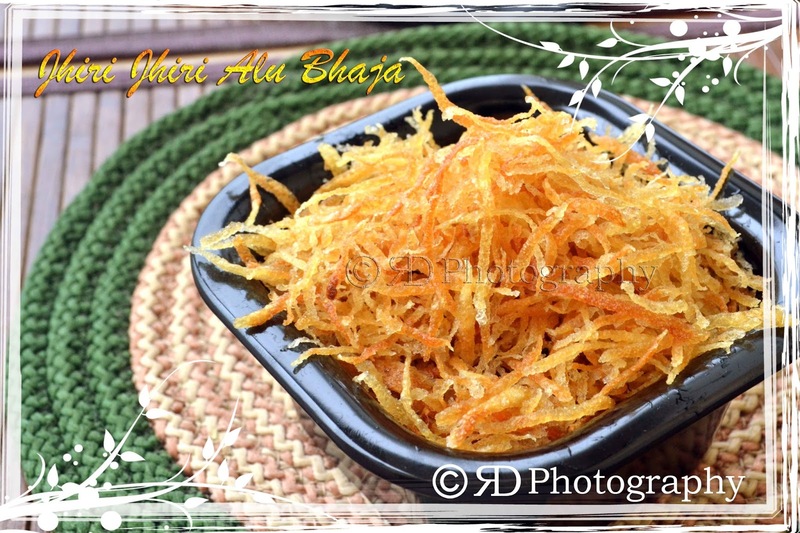 These Bengali style traditional Kucho nimki is seasoned with salt and nigella seeds (kalo jeere or kalonji) only. 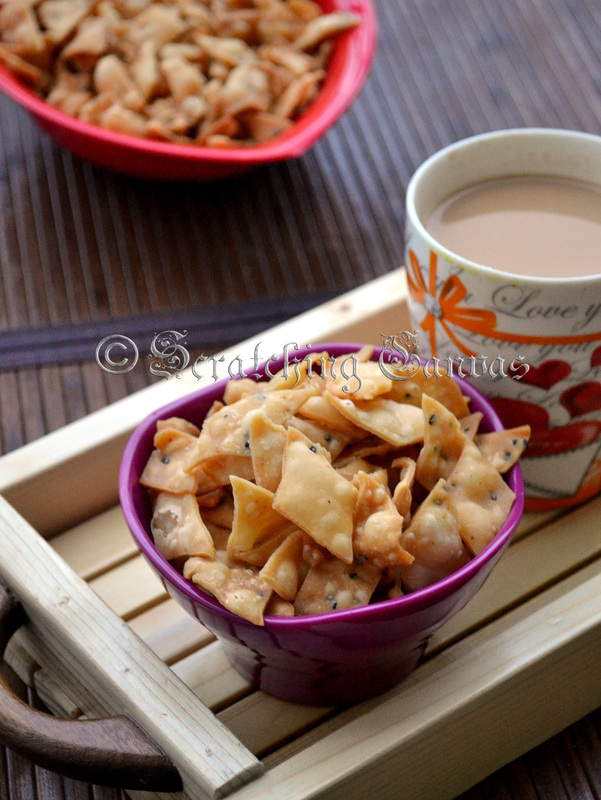 Actually these Nimki or Namak para is an extremely versatile preparation. The flour dough can be seasoned with different flavours (as I mentioned in the above paragraph) and can be shaped as many shapes as your imagination can run. From similar dough ribbon like or spiral shapes can be formed before frying and can be cooked in very similar way. Maharashtrian people make the same dough without the seasoning and dunk them in sugar syrup after frying; these sweet Nimkis are called shakarpara. These crispy savory monsters are a keeper; meaning they keep fresh and crunchy for months. Only if by any chance you can spare them to live that long; in my home they don’t survive the weekend. This reminds me my granny used to cook few batches of nimkis if someone is going out of station and she made sure all are packed in air tight containers before they leave. Nimki is enjoyed mostly with a hot cup of tea and rest of the time as it is; after all few tiny crispy bites in mouth doesn’t harm at all. Sometimes if I’m way too hungry I make a nimki chaat by mixing handful of Kucho nimkiwith 2-3 tbsp of finely chopped onion, 1 tsp of finely chopped hot green chili, ¼ cup of chola or sprouted black chickpea or 1 tbsp peanuts (whichever I find handy actually) and enjoy with my evening tea. Ohh good ol’ nostalgia! So many thoughts, memories and little me; now I need a tea-fix with a bowlful of Kucho Nimki! And here you go with the recipe on how to make perfect Bengali Kucho Nimki aka Maharashtrian Namak Para or NamakPare or Kerala style Diamond Cuts. Next is rolling or forming nimki. Take one dough ball at a time and roll out to thin disc or circular sheet using rolling pin. It should be bigger in size than ordinary poori and bit thicker. To set the nigella seeds in the roti, flip few times and roll very gently. If you like little thick nimki from bhujiawala you can make the layer little thick. I prefer little thin layered crispy nimki so I made it as thin as possible. Now take a sharp knife and cut the roti in crisscross pattern to form little diamonds. Watch the video for better understanding on how to cut nimkis). While working with one portion of the dough; keep the rest of the dough covered. Finally (and most important), frying the nimki. These nimkis can be stored in any air tight jar upto a month is store properly. 1. Unlike traditional nimki recipe whole wheat flour can be combined in 1:1 ratio with maida or all-purpose flour. 2. Use ½ tsp of sugar while kneading the dough if you want a slight touch of sweetness in nimki. 3. Use roasted chili powder or black pepper powder or grounded dried fenugreek leaves or chaat masala to create a spicy variation in nimki. 4. Use any white flavourless oil instead of ghee or combine both as per your personal preference.. Begin with kneading the dough of flour, baking soda, salt, nigella seeds and little ghee with warm water. Cover and leave to rest for 30 mins. Take out small balls out of dough and roll out into big circular disc (roti like). Cut the roti into crisscross pattern to form little diamond shapes and deep fry in hot oil/ghee. Remove and keep on paper towels to drain the excess oil. Serve hot or at room temperature with tea. 4. It is definitely not necessary to maintain the dough balls in a line but it will help you to complete the job neatly and without any trouble. 5. Turning each dough balls into pattie will ensure even rolling later. 6. To check the temperature of the oil: add a tiny particle of the dough in the hot oil, if it sizzles immediately it is the right temperature. 7. To maintain the oil temperature turn the flame to high, add nimkis, fry on high flame and once puffed up turn the flame to simmer and remove nimkis immediately. That’s how you can have complete control over oil temperature and chances of getting puffed up nimkis are high! 8. It is important that you take out the nimis from oil at correct time, otherwise nimkis will get browned and bitter; not the way it should be. Wow your pics are amazing and tempting ?